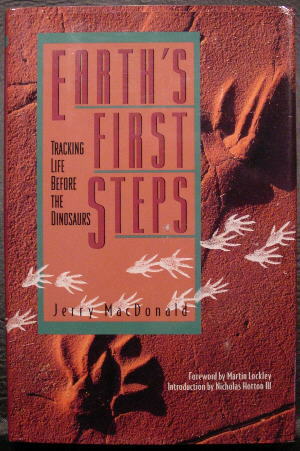 Tracking down MacDonald's "Discovery Site" required some detective work itself. 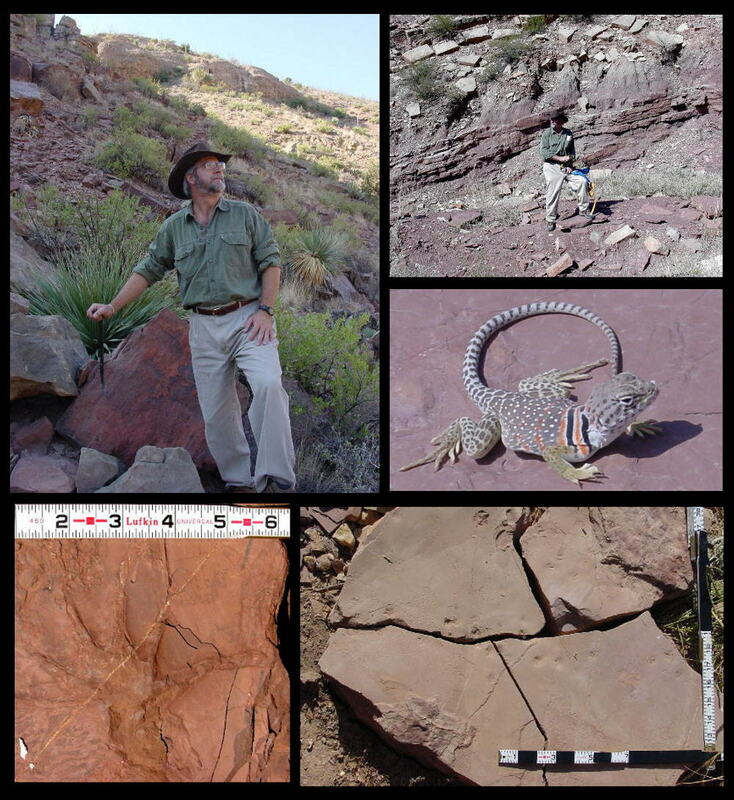 Below, you can see Dave examining the quarry as it appears today -- abandoned except for a collared lizard that watched us throughout our visit, alone guardian of his reptile heritage. This site is now protected by state law, but many trackway sites remain undiscovered. 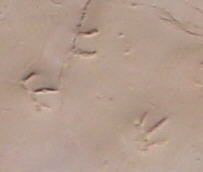 Also pictured are several track traces available at the site -- including this large print that might have been made by an edaphosaurus as he wandered up Camino Real over 280 million years ago. 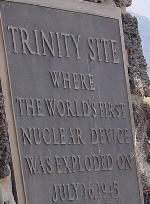 As we left the Robledo Mountains, our next stop would take us from the unfathomable reaches of the past to the threshold of the nuclear age -- the trinity site were the first nuclear bomb was detonated.